You are here: Home / News / Illinois denies justice to Jon Burge torture victims. (ThyBlackMan.com) Illinois has a problem like most States it is running short on money. Some of its budget problems include prison overcrowding which is caused mostly by the U.S. Drug War where non-violent offenders are occupying a majority of cells. It also has another prison related budget problem. That problem is that there is a strong possibility that innocent people who were tortured into confessing to crimes by disgraced and now imprisoned former Chicago Police Commander Jon Burge are still in prison and will not be getting out anytime soon. Despite acknowledging that this was a problem, efforts to get to the truth of the matter have been suspect according to many. Now Jon Burge’s victims are being victimized again, this time by the Illinois State legislature. 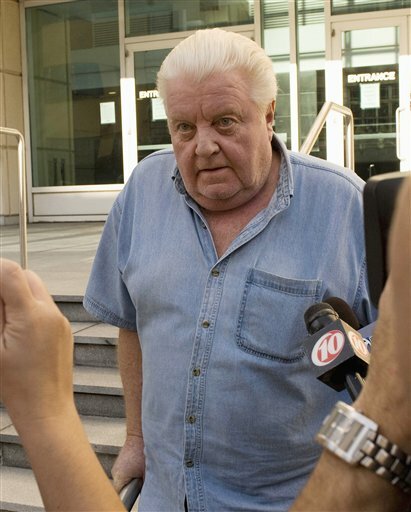 Jon Burge was convicted of lying and obstruction of justice in testimony he gave, or did not give, when put under oath at an inquiry about the torture ring he headed in Chicago that targeted Blacks and Latinos. Jon Burge and the officers under his command were not interested in solving crime when it was easier to pick up some random person and torture them into confessing. As many as 23 victims may still be behind bars. In 2010, Illinois took a step in the right direction when the legislature agreed to form what is known as the “Torture Inquiry and Relief Commission”. Recently the majority Democrat legislature took a huge step backwards in delaying and denying justice for the victims of Burge. Because the State of Illinois is facing a budget crisis, it decided to cut funding to the commission. Lets get this straight, Mayor Rahm Emmanuel and the city of Chicago can find money to tear down empty homes in the Black community, initiate litigation to shut down liquor stores, operate a huge city wide database to track the alleged gang affiliations of young Black and Latino men in its fight against an unwinnable drug war, but can not find $235,000 to allow the commission to hire a staff attorney to continue its work. Cheryl Starks is the volunteer chair of the torture commission and she believes the defunding of the work is political. However, there is a way the State legislature and Governor Pat Quinn (D) can work towards solving their prison-overcrowding problem and scrape the cash together to fund the torture commission. By simply decriminalizing its laws related to marijuana possession until the U.S. Drug War can be eliminated. Instead of putting people in prison for any type of marijuana possession, they can instead reduce the penalty to a fine and community service. At a time when majorities of Americans believe marijuana should be legal, the state of Illinois has some of the harshest possession penalties in the nation. This simply does not make good fiscal policy let alone drug policy and the possible millions saved from reduced incarcerations could easily fund the torture commission and possibly free another group of prisoners, the torture victims of Jon Burge. There are several other options as well. If the citizens of Chicagocare anything about justice, anything about working to right a wrong, Mayor Rahm Emmanuel could call up his former boss and former Illinoisstate senator, President Barack Obama and together they could host a fundraiser by having a $1,000 per plate dinner with 235 concerned individuals. Perhaps the owners of the city’s 32 professional sports teams could get together and hold a series of charity events to the fund the commission. The money could also be raised in one afternoon if the owners and players of these franchises simply passed the collection plate around the locker room. Carolina Panthers wide receiver Steve Smith just dropped $100,000 grand on the medical bills of victims of the Aurora,Colorado theater shootings. The fact is Illinois does not lack the resources to fund this commission if they truly cared about human rights issues and reuniting innocent torture victims of the City of Chicagowith their families so they can work on repairing their lives and the city can work on repairing its image. Unfortunately, at this time, there seems to be a lack of will. It would be wonderful to hear some more good news out of Chicago. Martin Luther King Jr. used to visit the city of Chicago often and was involved in the “Chicago Freedom Movement” to address the city’s slums. Perhaps a new Chicago Freedom Movement should be formed around the issue of funding the torture commission. To join this brother Black Talk Radio Movement feel free to visit; BT Radio Network. Also connect via Facebook; Black Talk Fan Page.